" Following on the heels of the Basic Clinic, I didn’t know what to expect from the Day 2 Clinic. The day started with exercises to understand visualizing distance and blind spots, followed by an obstacle course of sorts that put our visualization skills to the test. From there we hit the trail and put our newly acquired skills to work in the real world. The trails were challenging at times, and definitely raised the bar about how we thought of trail ratings. 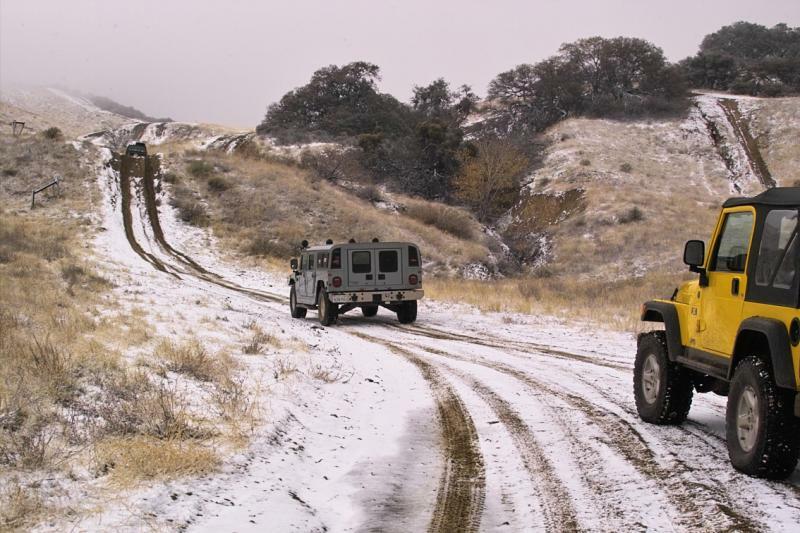 With a mix of 4x4’s, and Jeeps of every make and model, our little caravan easily maneuvered the uncertain terrain of the El Paso Mountains thanks to the expert instruction provided by Tom Severin from Badlands Off-road Adventures. It was a great day of fun spent behind the wheel with new friends and fellow off-roaders as we enjoyed a day full of sand, sun, and blue skies. " "The class was intended as a beginner, Day 2, and it met those objectives completely. You are a superb instructor. Easy going, extremely knowledgeable and experienced, and you never talk down to anyone. You seem to genuinely enjoy helping people learn. You make your classes a very relaxed, enjoyable, and comfortable experience." "Today we went on trails that had rocks, steep parts, narrow parts and hair pin turns right after another. It made me think and react more globally (in relation to off-roading, of course). I felt challenged but relaxed at the same time. Today was very enjoyable! " This clinic is designed to meet the needs of the novice who has completed the Getting Started Off-Road 4 Wheel Driving Clinic and is looking for more behind-the-wheel 4 Wheel Drive experience. The class is an extension of the last 4 hours of the 4-Wheel Drive Getting Started class to provide more driving experience. 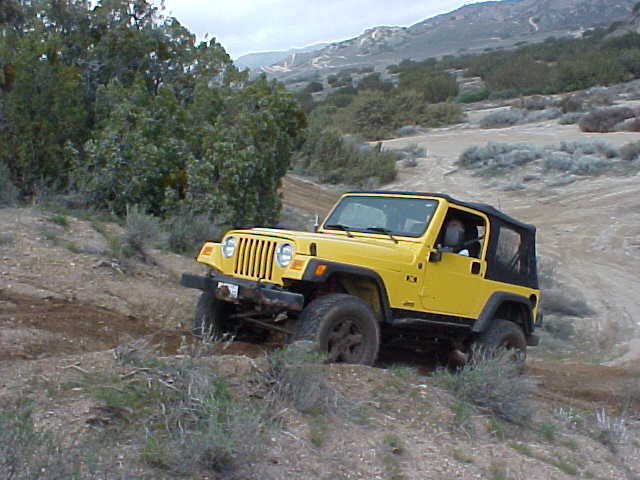 The frist day of Getting Started Off-Road Driving is a prerequisite for this class. We will start with a quick refresher on safety followed by a practice sesson on tire placement and picking lines on the easy terrain. As the day progresses, we will tackle more challenging 4x4 obstacles, working our way up to more difficult obstacles. However, this is intended to be an advanced 4WD clinic for beginners, novices and rookies and not an extreme 4WD challenge. The terrain varies with the clinic Location. We will take advantage of the terran available in each location. We will take a break for lunch so bring a picnic lunch and a chair (We will not be near a picnic area with tables when it is lunch time!). Have you recently upgraded your vehicle? 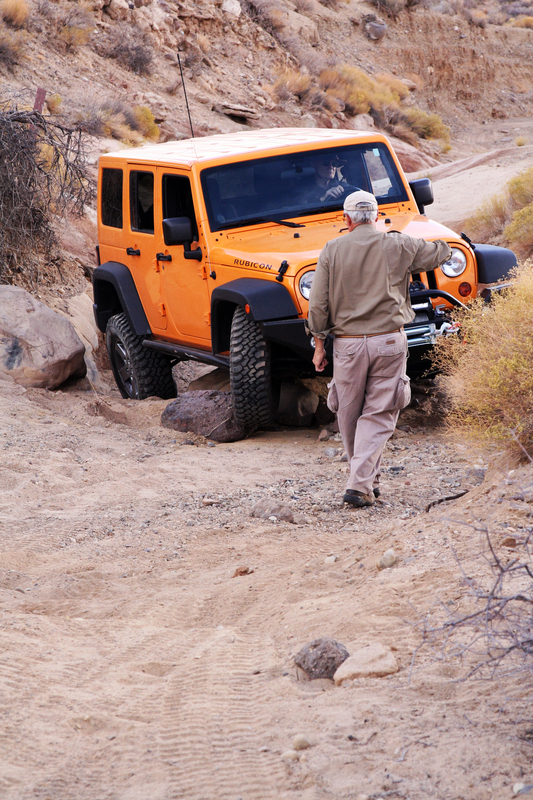 The second Day Getting Started Off-Road Driving Clinic's mild trails are an excellent "shake down" trip to test all the modifications and to learn the new "feel" of your vehicle. You need a stock 4WD with a 2 speed transfer case and recovery points front and rear. Moderate clearance and rock rails are beneficial. You can expect some pin striping on the run. It is a great way to learn about your vehicle and build confidence. The clinic is limited to 10 vehicles. If you are not satisfied and do not feel you received good value for your money and time, send us an email explaining why and the full price of the class will be refunded, no questions asked. You may keep all handouts as our apology.